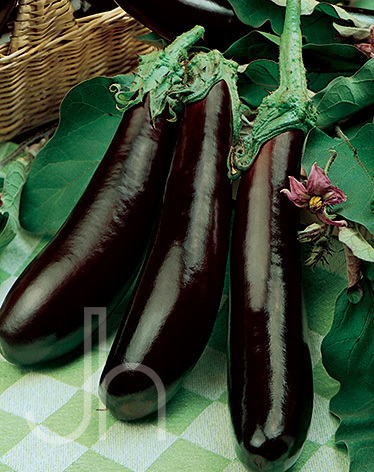 Ichiban Eggplants are longer than Classic Eggplants but have a similar deep-purple coloring. Eggplants produce an egg-shaped, purple or long, green fruit that is 6-9 inches long. At harvest, fruit should be large, shiny and uniform in color. When the side of the fruit is pressed slightly with thumbnail and an indentation remains, the fruit is ripe. Outstanding Features: Excellent for oriental dishes, grilling and roasting.